Greetings and welcome to #breakthrulinkup 34! 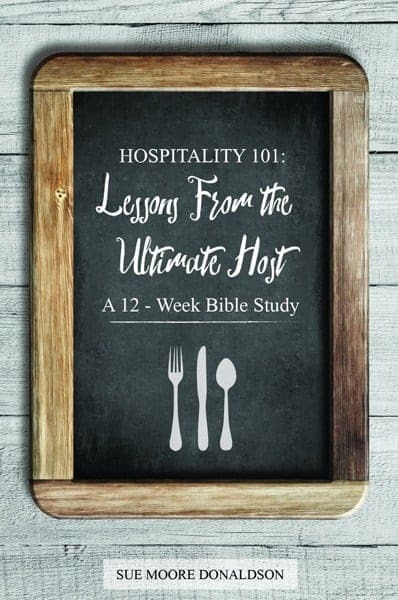 Hospitality, 101: Lessons From the Ultimate Host is a great way to spend the rest of your summer. Yes, it’s a 12-week course, but the chapters are short and do-able and you can double up if you like. And it includes recipes. Who doesn’t like a good recipe? And they are easy recipes because who doesn’t like a good easy recipe? I wrote this study because my mentor, Laurie told me I had to and I usually do what she says. But I had never sat “under it” myself until now and it’s a great study for both old and new believers as well as “seekers” seeking more to life than a good meal. Did I mention recipes? 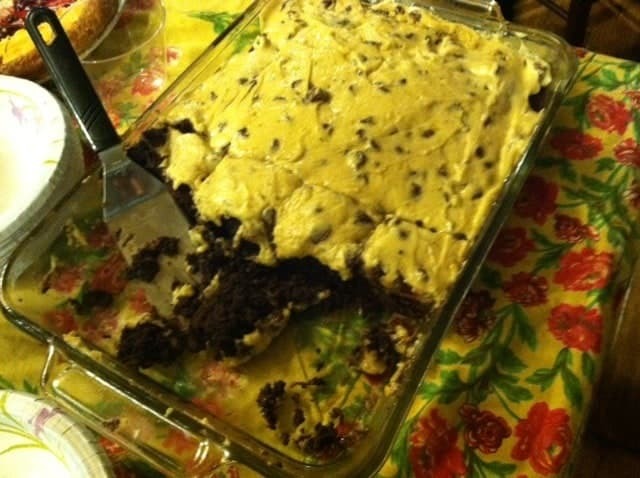 Here’s one of our family favs that gets raves: Chocolate Chip Cookie Dough Brownies. I know. Get a napkin. For the drooling. 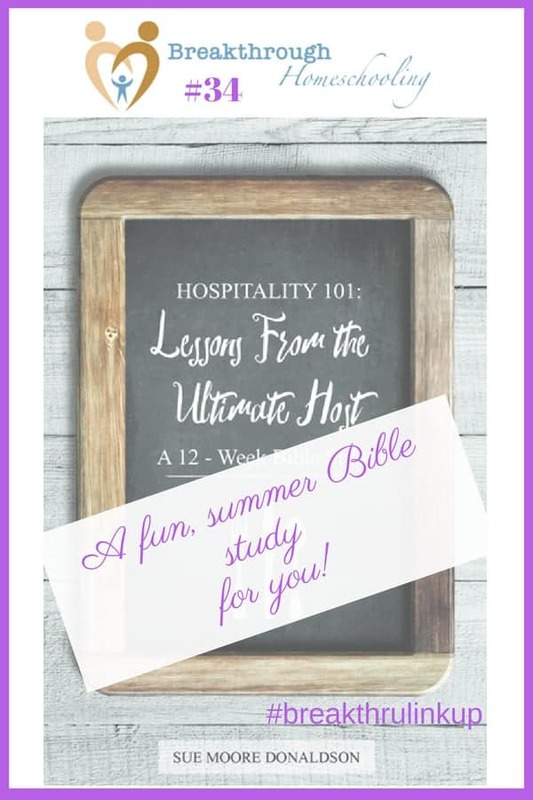 A party and a dog and a Bible Study. Get started on it today! Want support from a fellow homeschool mom? Join us - and let's continue on the journey TOGETHER! By linking up, you're agreeing to share up to 3 family-friendly posts, and visiting at least 2 other posts (just to be friendly-like!). Sharing here also gives us permission to use and share your photos and posts, giving you credit, of course. I love Pinterest, and if you include a pin-friendly photo, it'll make it easy-peasy for me to share your post there. (hint-hint). I appreciate your linking back to us in your post or on your blog. 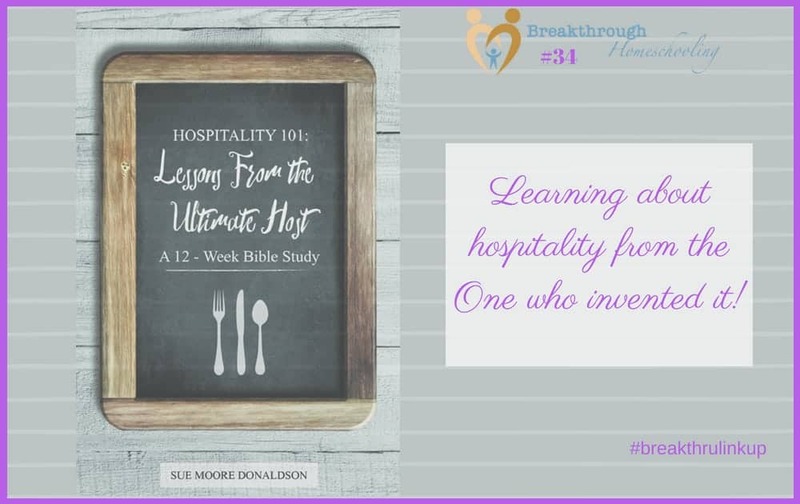 If you'd prefer an image, feel free to use my Breakthru Linkup button. What's your Word of the Year for 2018? I love Sue, and I just made her chocolate chip cookie dough brownies last week. So great to bump into her here today! 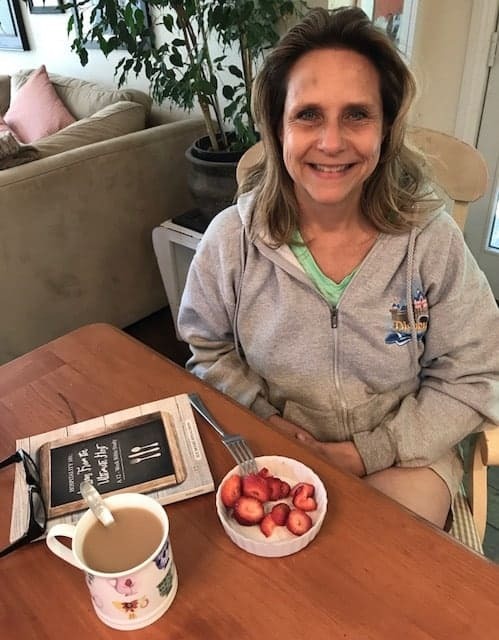 Thank you so much for hosting and sharing the study and recipe with us! !